Cathy Lynn Walters (above) of Rush Township served as the financial secretary for the Forkston Windham Mehoopany (FWM) Emergency Ambulance Association since at least 2008. In that time, investigators say, she used more than $300,000 from three bank accounts she was managing for the non-profit organization to pay her own bills and purchase whatever she needed. 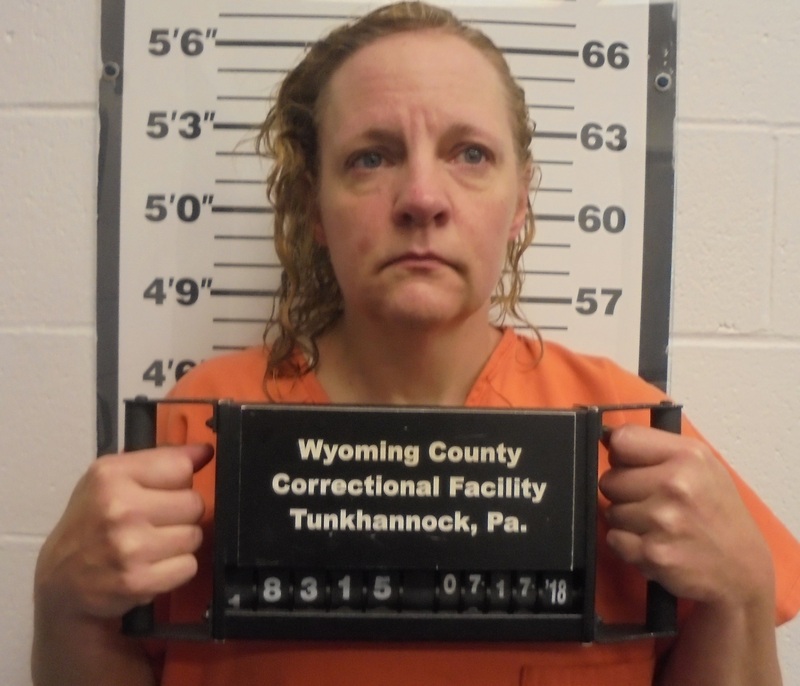 For a number of years, she was also using the funds to financially assist her then husband, according to a report issued by accountants assisting Wyoming County detectives with the case. FWM officials told Det. David Ide that they felt that something was amiss, but that Walters would always come up with excuses for not opening the books to them. Ide’s detailed report indicates that Walters was preparing fake financial reports for meetings while not really maintaining any records at all to document her spending. One bank in Meshoppen had closed FWM’s account with them due to an abundance of checks written against insufficient funds and holds a debt against the ambulance company of which its officers claim they were unaware. Considering the evidence that investigators have amassed against Walters since January, it is somewhat ironic that a rather benign purchase at a Montrose feed store was the incident that brought the situation to light. Ide was contacted by Susquehanna County Det. Justin Sprout on Jan. 4 after Sprout received a call from a business owner suspicious of a check for $170 that Walters had presented for the purchase of bird feed and similar items. Not only was it an FWM ambulance check, Walters had written “medication and supplies” in the memo. She also wrote her cell number on the face of the check. Ide subsequently contacted Tina Henning, FWM Ambulance Association president, who told him that all FWM checks require two signatures for use. Henning further instructed Ide that FWM’s account was either with the Community Bank & Trust or with People’s Security Bank, both in Meshoppen. Community Bank & Trust had closed FWM’s account in 2016. While the account at People’s Security is still active, officials there told Ide that numerous checks signed by Walters of “suspicious nature” had been processed there. 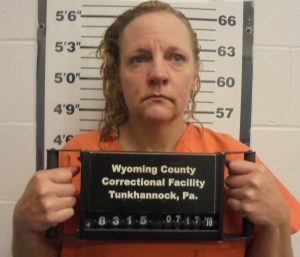 About two weeks later, Henning contacted Ide to inform him that she had become aware of a third FWM account at First National Bank in Tunkhannock, where Walters had also passed numerous checks. Ide turned over statements from both Meshoppen banks to a director of Lochen & Chase Certified Public Accounting for forensic auditing. In the meantime, he had subpoenaed First National Bank for their FWM statements. The final report from Lochen & Chase revealed more than $165,000 in questionable transactions at Community Bank and Trust between 2008 and 2016, plus nearly $30,000 in certificates of deposit and $3,791 in fees. An audit of FWM activity at People’s Security Bank between 2010 and 2017 showed $94,250 in suspicious transactions, plus $1,201 in fees. Though the FWM account at First National Bank was opened in 2002, suspicious transactions in recent years eclipsed $61,000, plus $4,879 in fees. Checks written between 2009 and 2014 from FWM funds to Lyman Walters, Cathy’s husband at the time, totaled $64,682. It appears that Walters was paying the electric and cable bills for FWM and herself. The audit shows $19,974 paid to Penelec and $24,625 paid to Frontier from FWM accounts during the same time period. Ide obtained a search warrant from Susquehanna County, and he and Susquehanna County Det. Sprout visited Walters at her home on SR 367 on Feb. 18. According to his report, Walters became very emotional and implicated herself on multiple accounts of theft by deception and misusing the FWM bank accounts without the knowledge of any other FWM officials. According to the report, Walters told Ide that she had developed a habit of writing bad checks after her father’s death in 1988 and had continued to do so. Ide was already aware that Walters had a prior record of an arrest and guilty plea for forgery and theft by deception, but on a much smaller scale. In addition to using a considerable sum to for her ex-husband “to bail him out” and keep the mortgage on their home paid, Walters allegedly told the detectives that she had also had a drug problem several years ago and had used FWM funds to support it. As for being able to provide investigators with any sort of paper trail to document the spending, the report indicates that only “fragments” of bank statements and checking ledgers remained, and they were spread throughout the house. According to Tina Henning, Walters regularly brought checks to meetings for a second signature, and those presented were all for legitimate purposes. Henning’s signature was not on any of the checks under investigation. Walters was initially incarcerated but is currently free on bail. There is no confirmation yet as to whether further charges in the matter are pending.